Put the pedal to the plastic when The Great LEGO Race opens Friday, March 23 at LEGOLAND® Florida Resort! 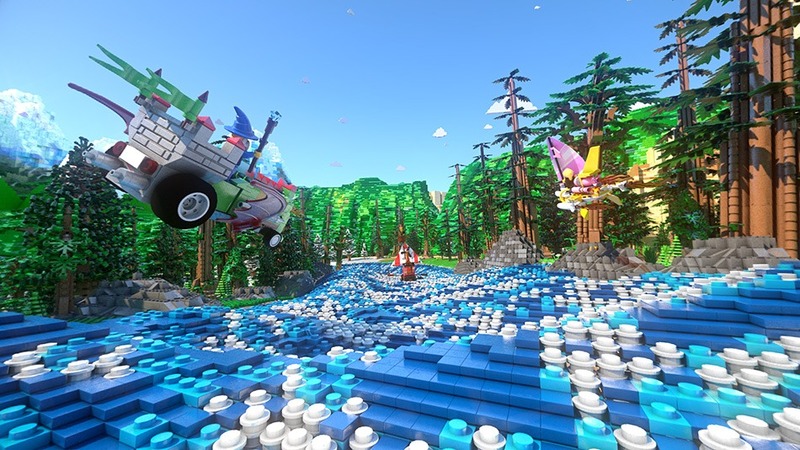 The exciting new attraction combines roller coaster thrills with virtual reality (VR) technology for a rollicking race against LEGO minifigures. 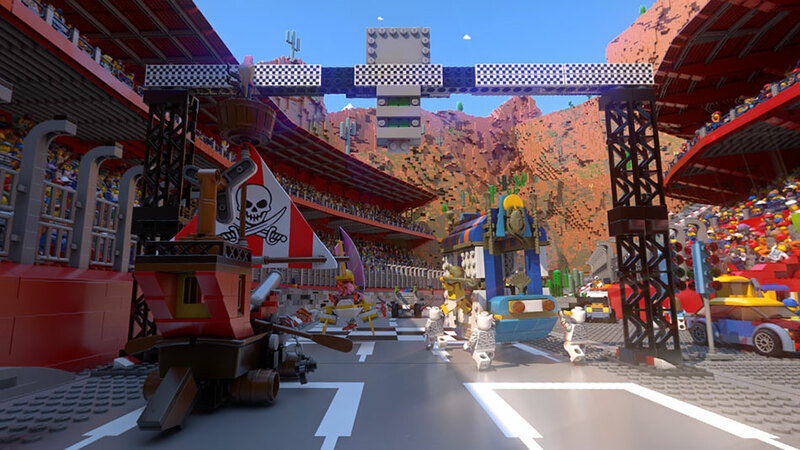 With animated action taking place on the ground and in the air, the wild and wacky race pits guests against a pirate, wizard, surfer and pharaoh as they steer LEGO-built vehicles like a rocket-powered windsurfing rig, a stylish scooter fueled by espresso and an ornately canopied bed (called a “litter”) carried by mummy servants. 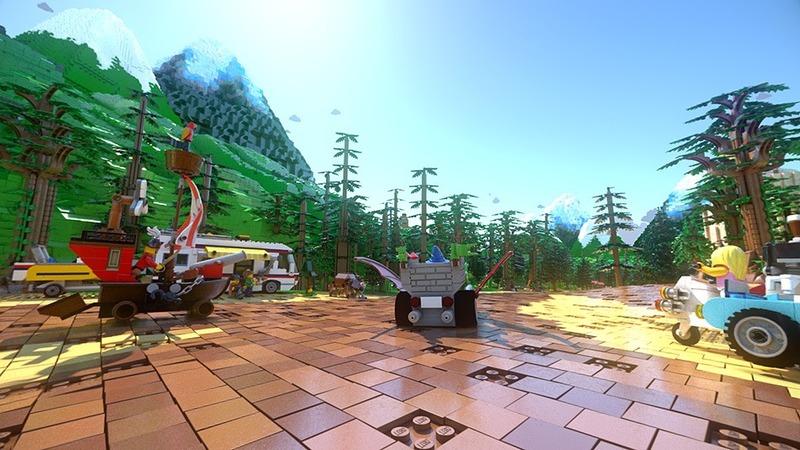 Wearing optional VR headsets, riders will experience the action from every direction while riding the roller coaster — up, down, forward, backward and all points in between — in a dazzling environment where everything is made of LEGO bricks. Fans can experience a preview of the VR adventure with MackMedia’s Coastiality mobile app available for iOS, Android and Oculus devices from the App Store, Google Play and the Oculus Store. It’s free to download and can be enjoyed with or without a VR headset. Under 42 inches (1.06m): Not tall enough to ride yet! Check out other exciting attractions like AQUAZONE Wave Racers, Technicycle, Kid Power Towers, The Dragon and LEGO NINJAGO The Ride. The VR headset is recommended for children ages 6 and up with a minimum height of 48 inches (1.21m). Will the VR headsets be cleaned between each guest? Model Citizens will wipe each headset clean with a sanitizing pad after each use. Headsets will be inspected regularly and replaced as necessary. 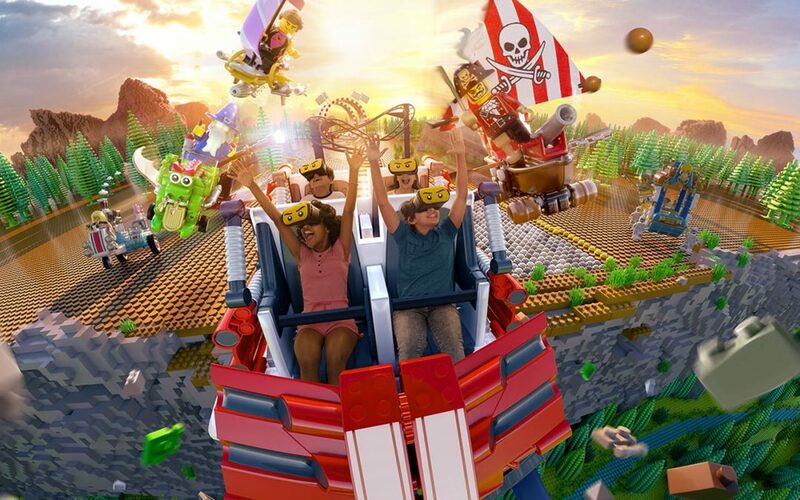 After crossing the finish line on The Great LEGO Race, guests can switch gears and enjoy an all-new treat at Funnel Cake Factory, which will open this spring just steps away from the roller coaster in the theme park’s LEGO Technic area. The highly themed pit stop will offer freshly made-to-order funnel cakes with toppings including fresh fruit, powdered sugar and soft-serve ice cream.